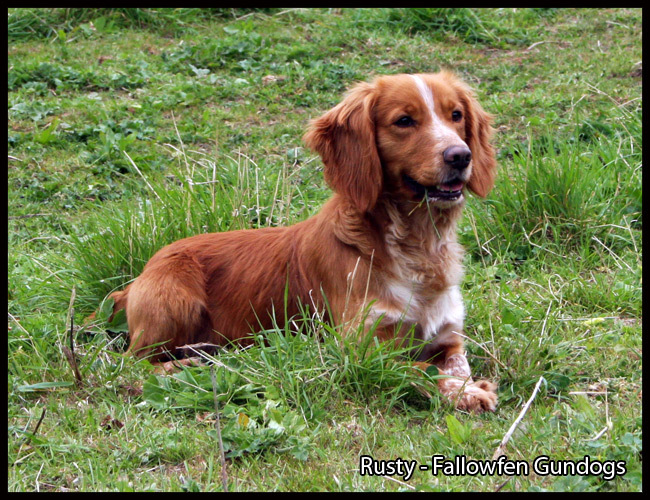 Midland Wally "Rusty" - working cocker spaniel stud dog. 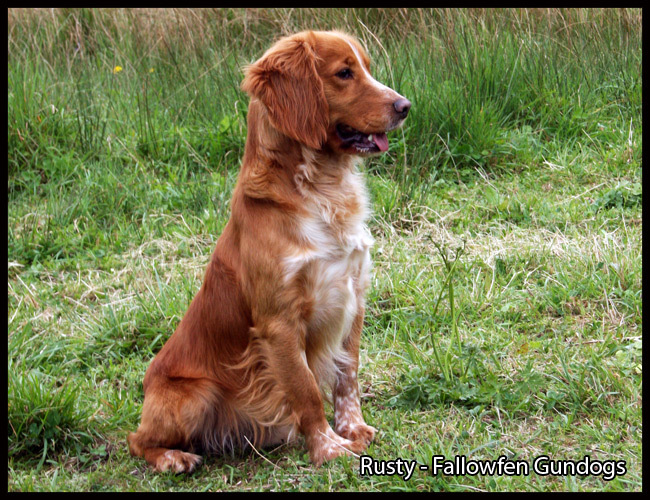 Rusty is a proven working golden cocker spaniel. 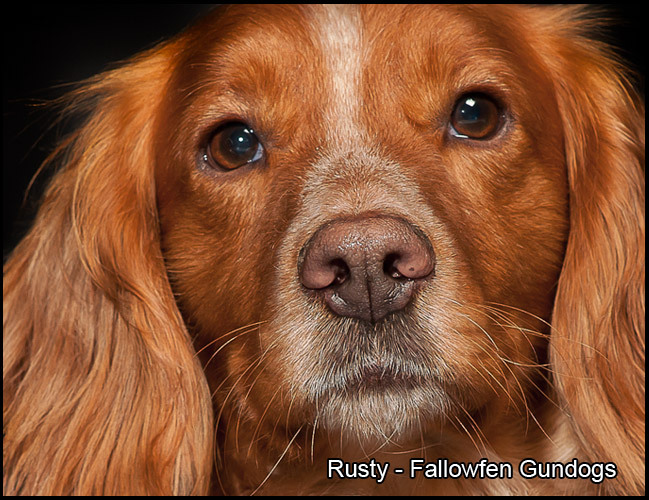 Rusty is a handsome working cocker spaniel, he is a honest working companion and is always loving, loyal, biddable and very keen to please. 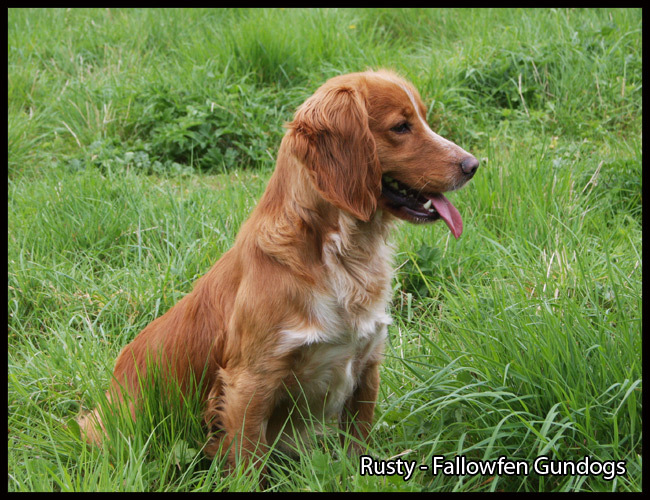 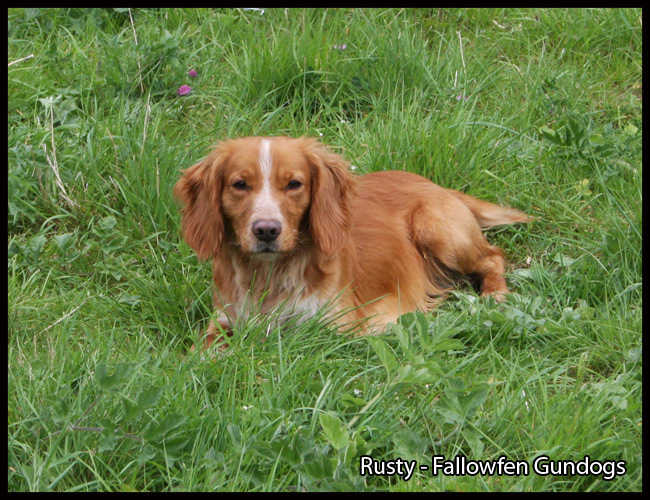 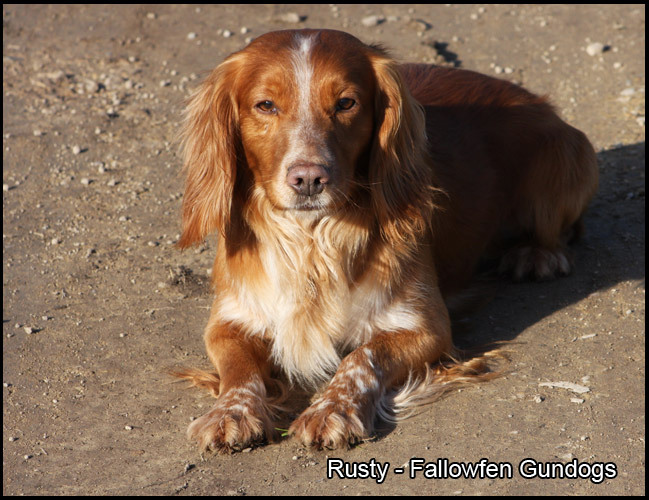 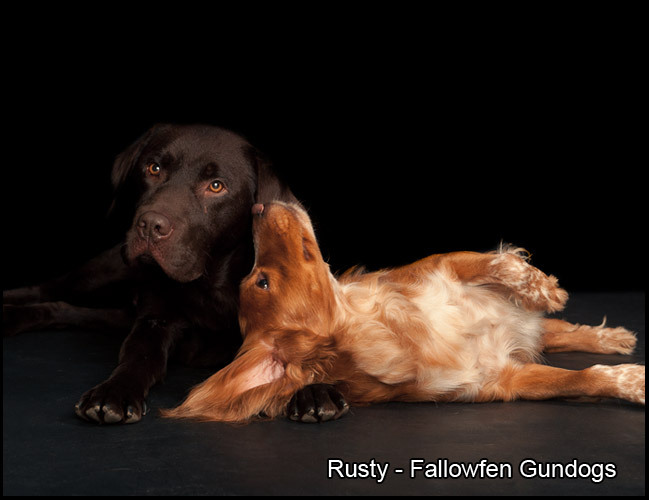 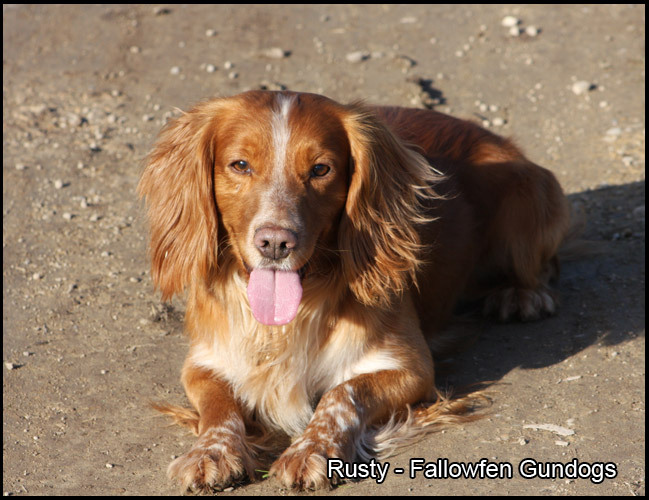 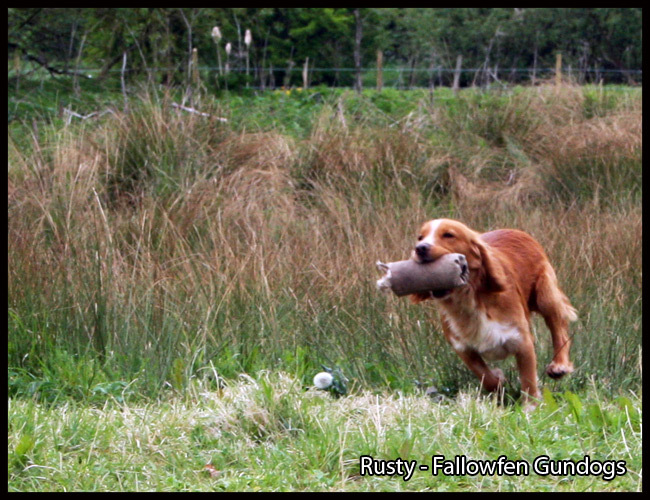 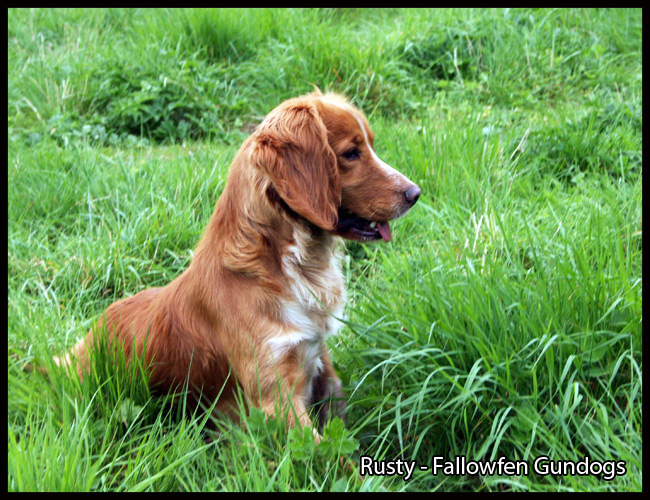 Rusty is a proven sire that produces puppies which have a fantastic temperament which are able to become loving family pets, but will also produce pups with the willingness to please within the shooting field. 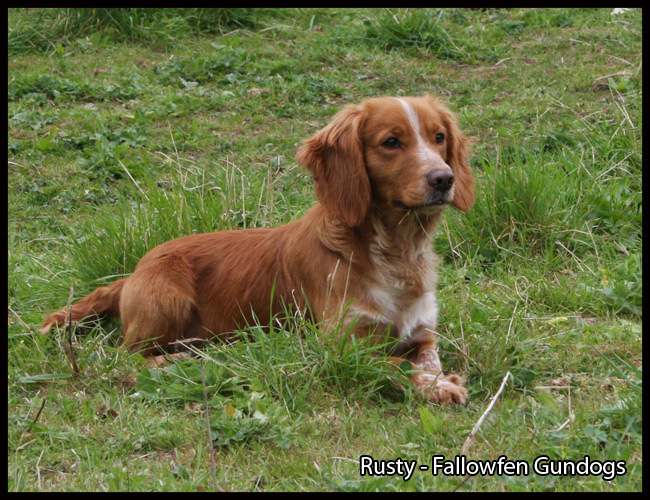 Rusty is a fast stylish working cocker spaniel stud dog but is also easily handled. 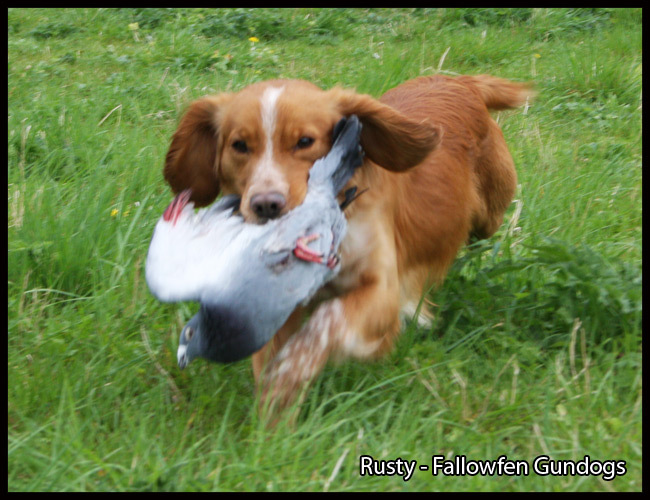 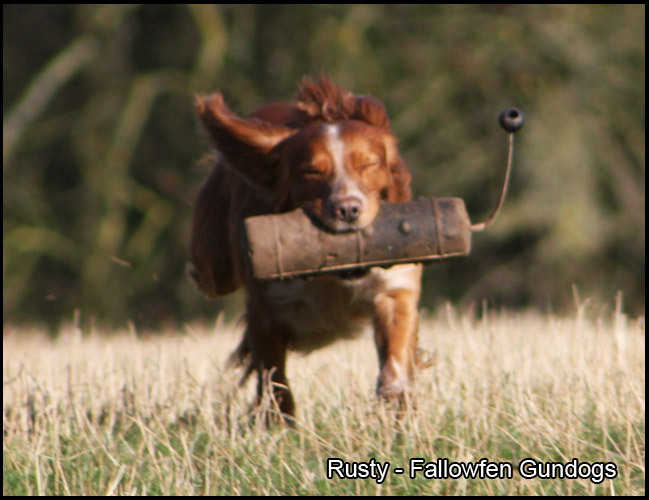 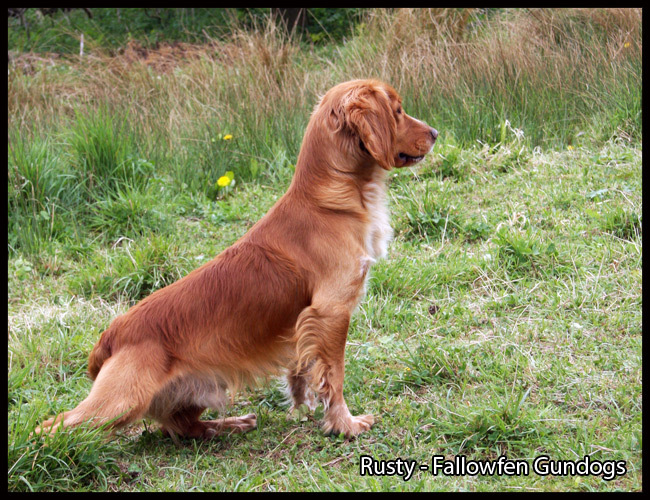 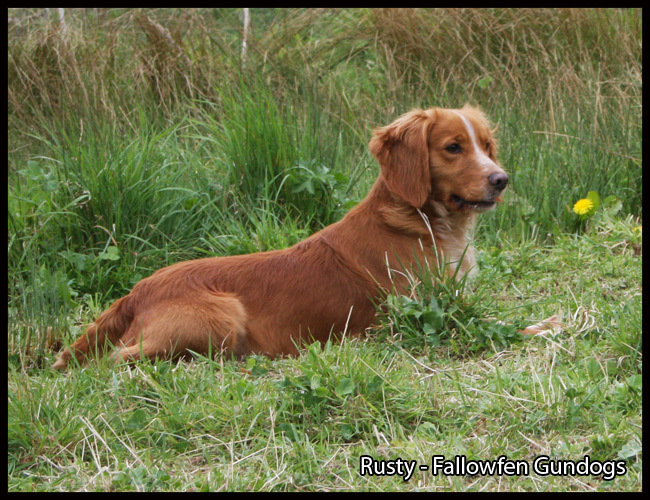 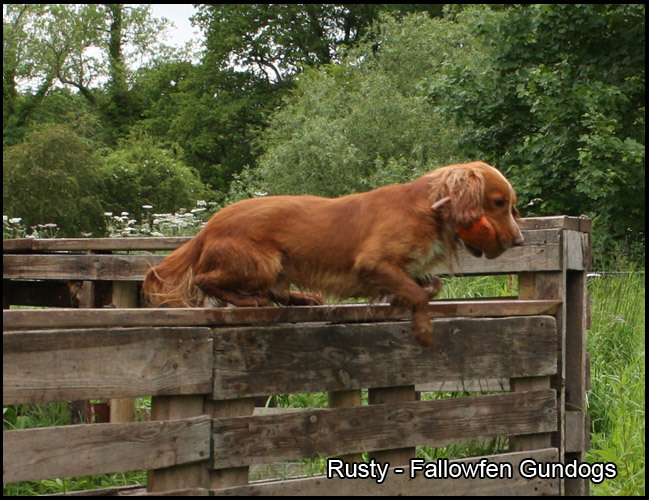 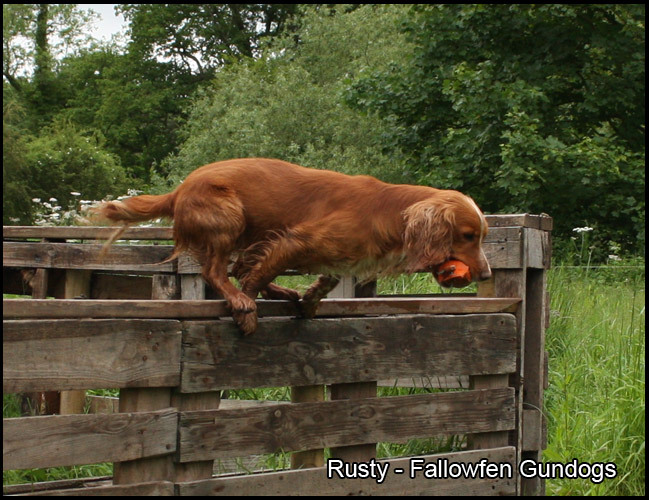 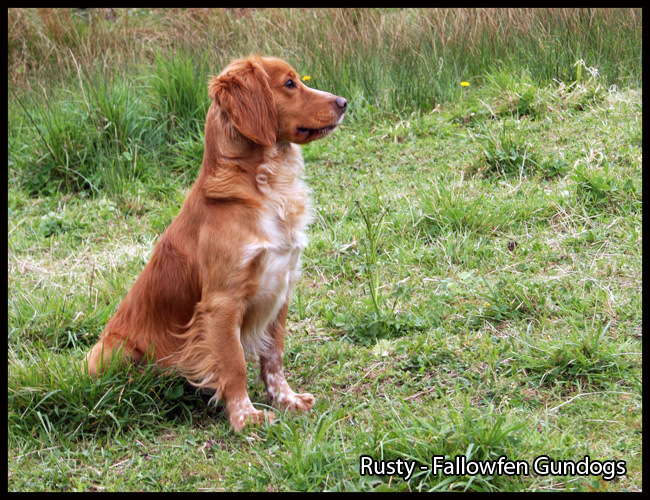 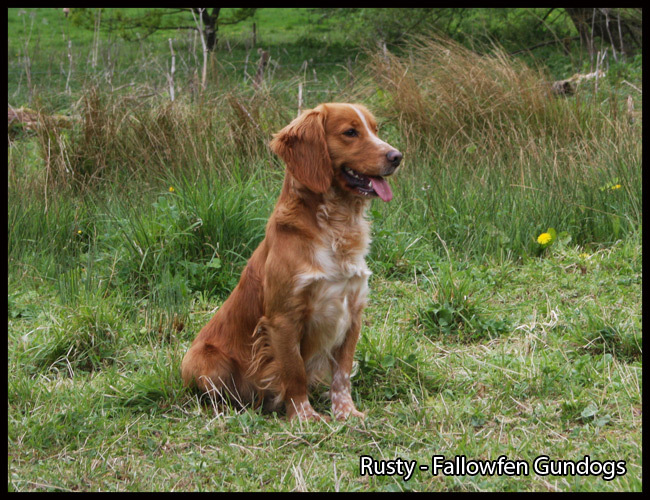 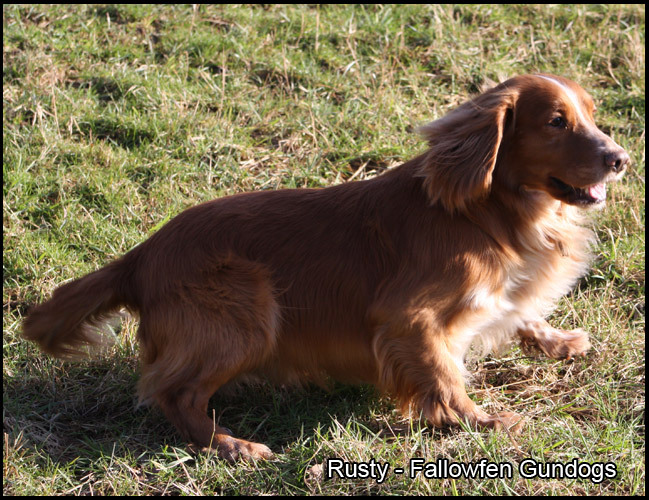 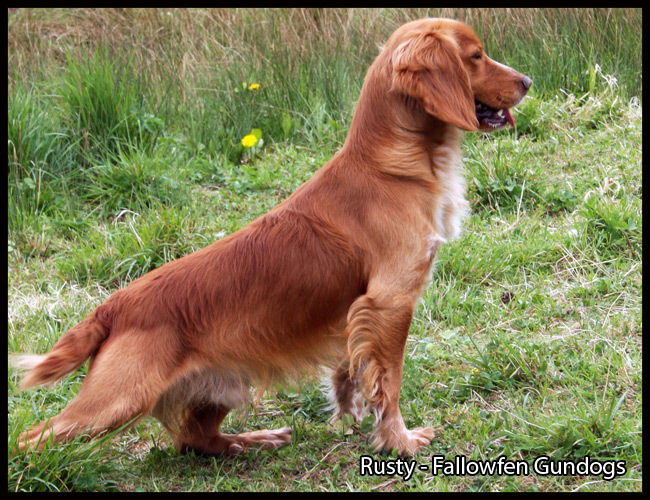 Rusty's pedigree contains some fantastic champions past and present FTCH MAESYDDERWEN SCIMITAR, FTCH LARFORD CATERAN, FTCH JADE OF LIVERMERE, FTCH MAESYDDERWEN KESTREL, FTCH MALLOWDALE RACKATEAR, FTCH HOUSTY SOLO, FTCH PARKBRECK JAKE and many more to follow.